F1 2015 is an upcoming racing video game which is just a couple of days away. 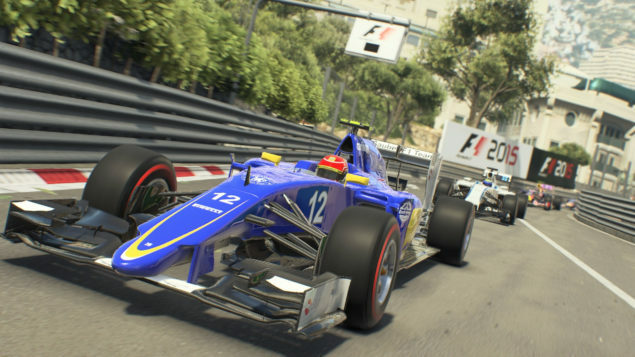 Developed and published by Codemasters, F1 2015 is a game based on the Formula One season 2015. the game is planned to be released on the 10th of July foe PS4, Xbox One and Microsoft Windows and will be based entirely on the the F1 2015 season. Just 5 hours back we reported the reveal of the game’s Minimum and Recommended PC requirements and now we have the very first gameplay footage for our readers. The gameplay footage showcases some very amazing water effects and makes the game very difficult to play so the game won’t be as easy as the rest of racing games out in the market. You can check out the gameplay videos below. The Second Video showcases the gameplay in bright sunlight where the actual beauty of the game and its tracks really strikes you after the blurry and watery gameplay you have seen above. Enjoy you gameplay footage below. The game looks very good indeed and for a bit of a rough comparison about the hardware required to play the game, you can check out the minimum and recommended PC requirements below. Looking at the recommended PC requirements, they are just way too heavy for my liking. Especially the Graphic Card requirements which require either an AMD R9 290 or an Nvidia GTX 970, both of which are top of the line cards and are not usually seen as recommended for playing a game. With that being said, stay tuned for more information on the game as we bring you the latest news for F1 2015 and don’t forget to let us know your thoughts on F1 2015 gameplay videos that you’ve seen above and the PC requirements as well.